I was hoping to have the finished article to show you by now, but it’s not quite there yet. Instead, I thought I’d show you how I’m getting on and maybe get a little help with the finishing stages. Here it was yesterday – I’d just stitched the lining and the jacket together and turned it right-side out for the first time. 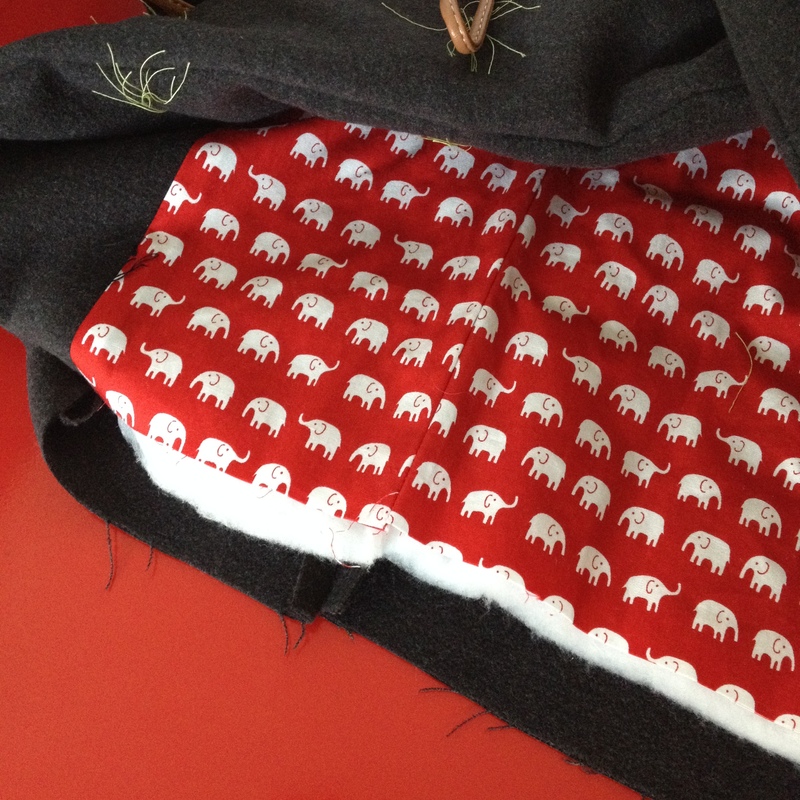 Last night I blind-stitched the sleeve lining to the inside of the outer sleeve. And next I need to unpick the bottom two inches of the seam that joins the facing to the front lining – I think this is the same mistake I made with the previous version – I got so carried away with my success in joining a concave and convex curve that I didn’t notice I was supposed to stop sewing before I got to the bottom! Then I should be ready to press up the outer and lining hems, topstitch the front placket and bottom hem, and stitch the bottom of the lining to to the hem.